"Violin Making, Masters of the Piedmontese school" is the title of the collateral exhibition of music instruments that took place in Turin, simultaneously with the first review of “Torino Antiquaria” 2013, an important meeting of merchants and collectors of antiques.It was a great dutiful tribute to Piedmontese violin making, one of the most important Schools of makers of bowed stringed instruments, which has been known for three centuries thanks to the evident characteristic expressive traits, through which each violin maker was able, however, to develop his personality and style.The exhibition devoted to the "Excellences" has highlighted the highly artistic regional Piedmont craft, unquestioned cultural heritage admired, sought after and pursued world-wide. Twenty-one masterpieces, presented in a teaching-chronological targeted course. 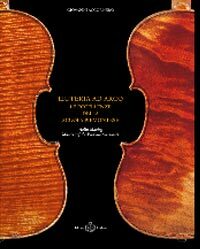 The works of Giovanni Battista Guadagnini, Giovanni Francesco Pressenda, Giuseppe Antonio Rocca and their best followers and imitators, Annibale Fagnola, Carlo Giuseppe Oddone, Evasio Emilio Guerra and Enrico Marchetti have highlighted, through a direct confrontation, the most important stylistic traits of Piedmont violin makers School.The proposed event obtained extraordinary appreciation from the visitors, representing a comprehensive exhibition of international renown, which arose enormous interest among experts, collectors and musicians in addition to awakening curiosity in the public at large.The Publishing House Edizioni Il Salabue organized the exhibition, supervised by Giovanni Accornero, and provided to the realization of the catalogue.